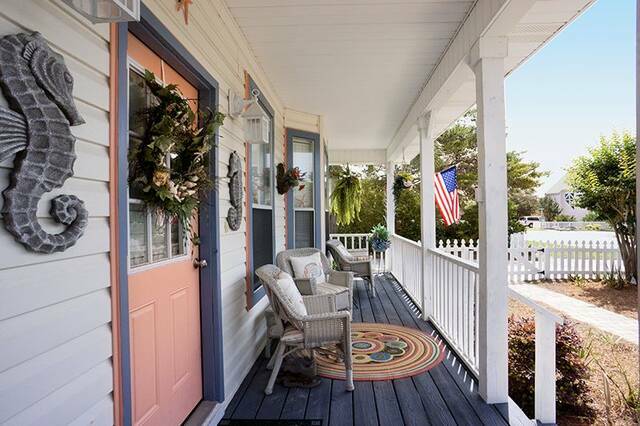 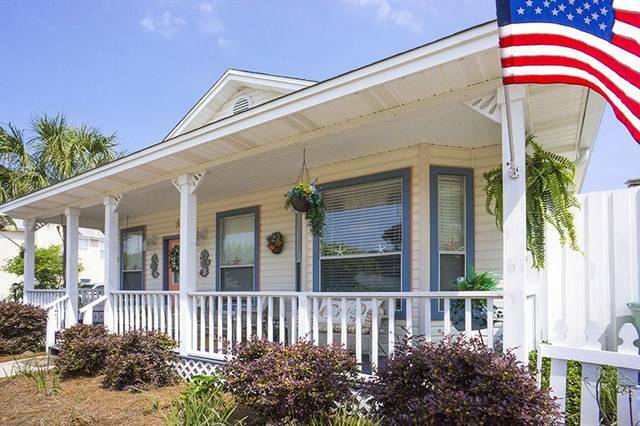 Our charming "Castaway Cottage" is in the quaint neighborhood of Crystal Beach, known for its seaside-styled cottages and white picket fences, and has the look and feel of a "beachside bungalow". Access the most beautiful beaches in the world, by way of the "Crystal Beach" public beach access that is only two short blocks away from your private beach retreat. 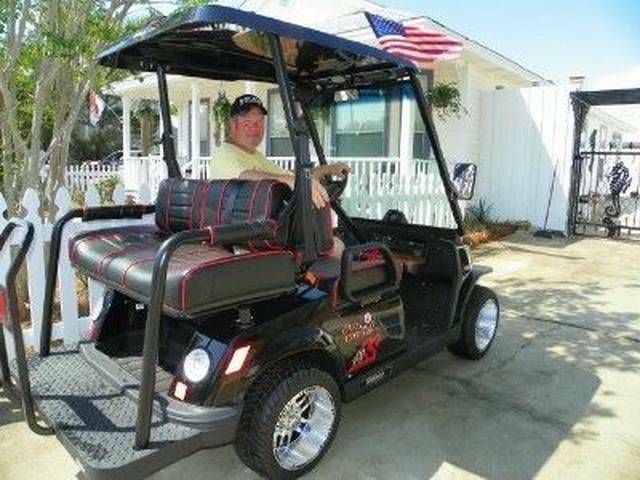 Cruise around the beach in your own private GOLF CART (pirate buggy) or with our beach bikes! 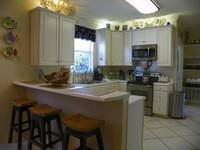 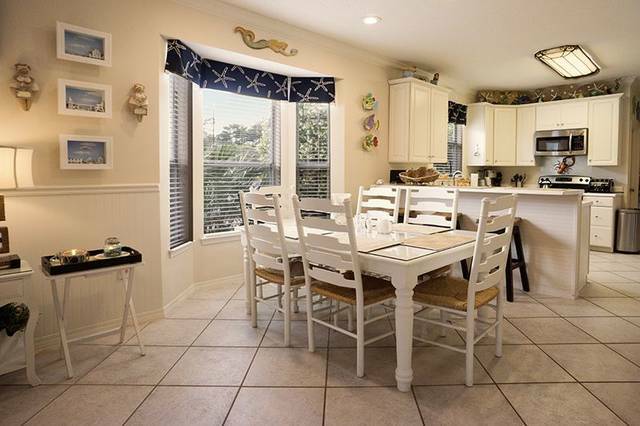 A Warm and sunny "Beach Theme" welcomes you into the spacious and comfortable living and kitchen combination. 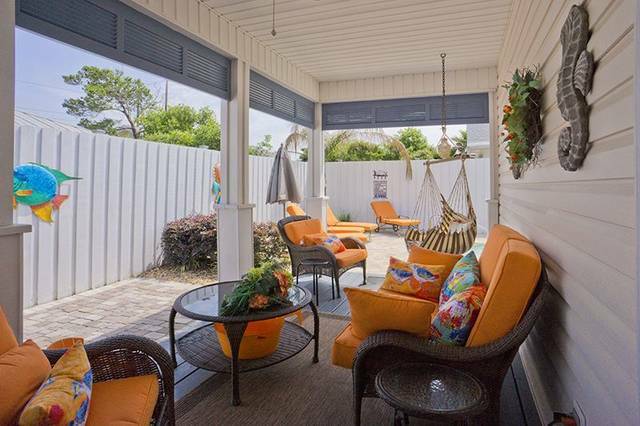 Both the front porch and back deck are perfect for enjoying the lush Florida landscape and sea breezes. 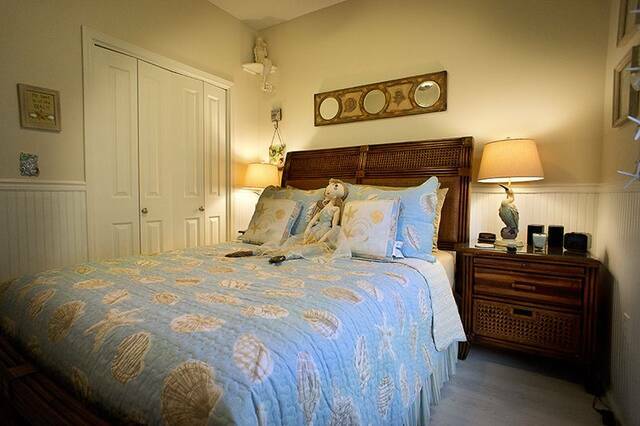 The master bedroom features a plush king bed with TV and its own private bath with sit down dressing vanity. 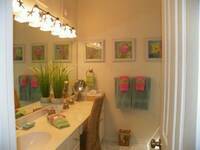 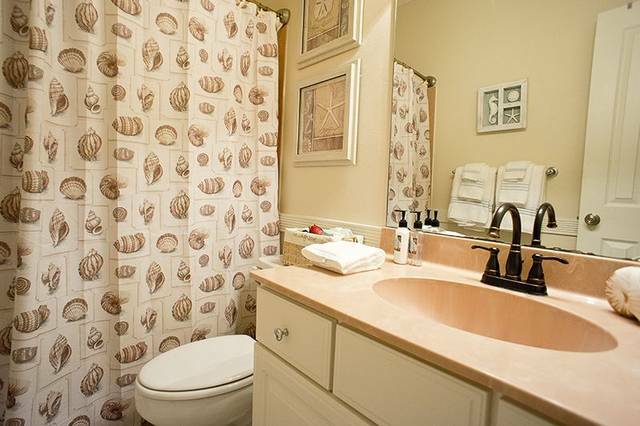 Each of the other two bedrooms features queen bedrooms, TV's with DVD plus a shared bath. 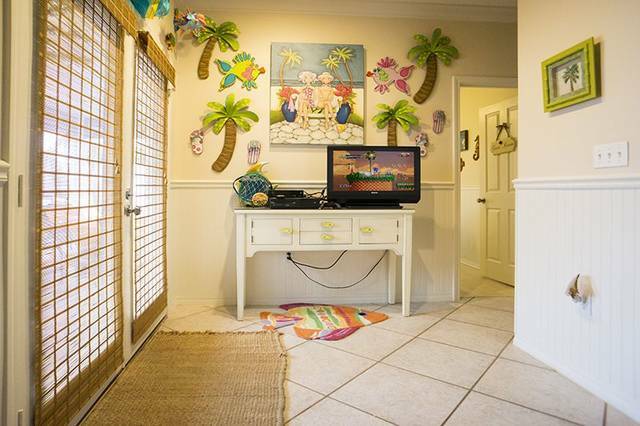 Young and old alike will have fun in the Kids alcove, complete with 32 inch TV with PlayStation 3. 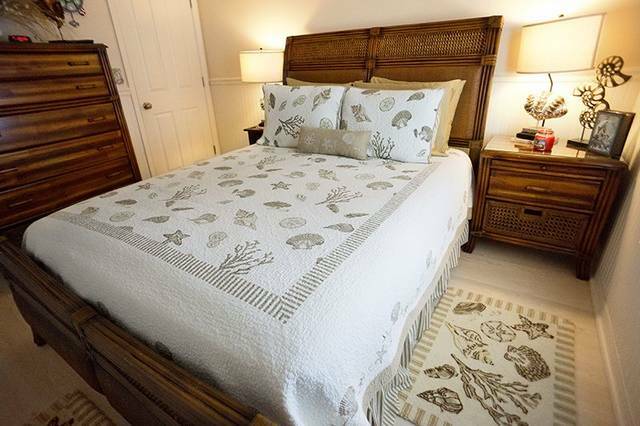 Cable TV is available in all 3 bedrooms and a 55 inch flat screen in living area, with 70 channels, as well Blu-ray player plus an assortment of complimentary movies for you to view. 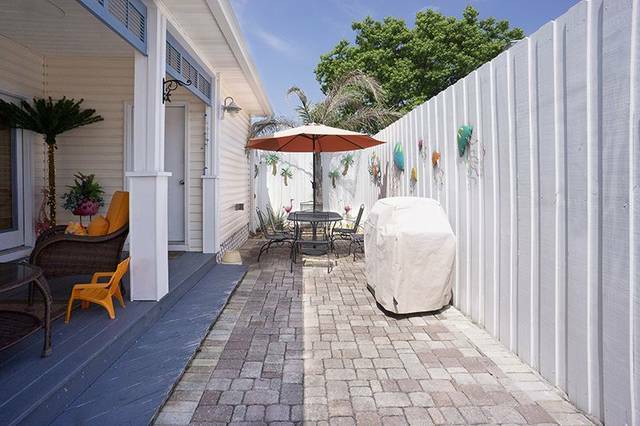 For those who can't leave work behind, we also have free Wi-Fi and long distance in the US. 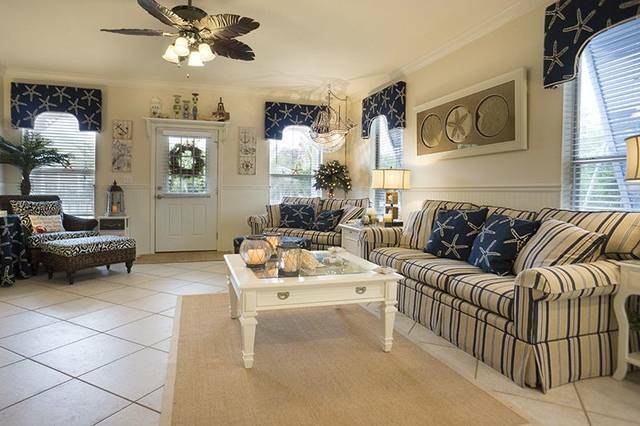 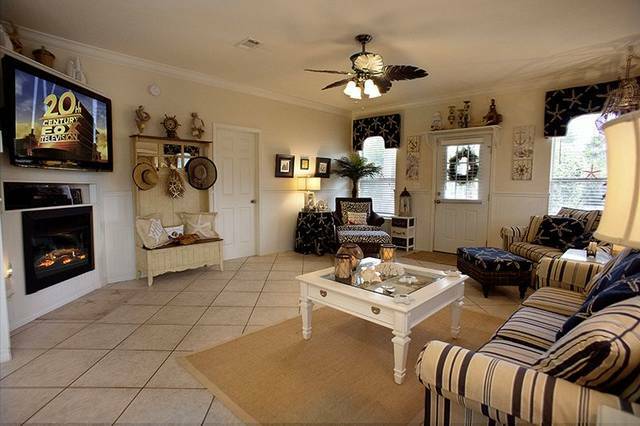 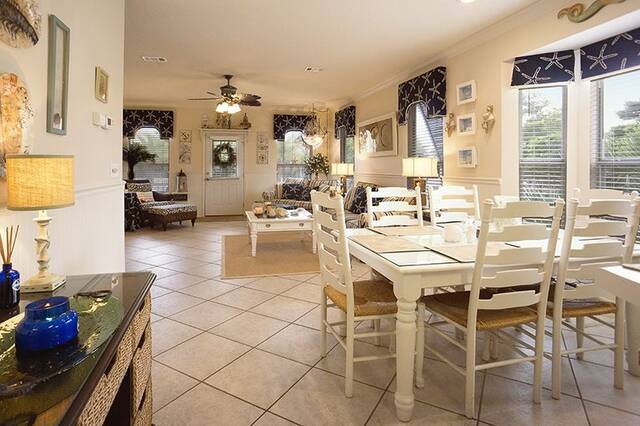 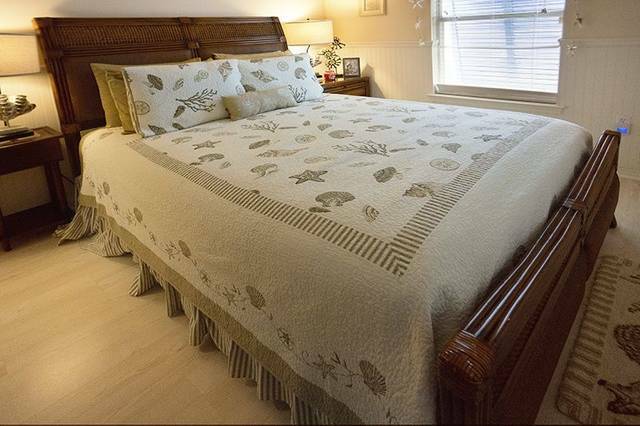 The interior decor is tastefully furnished with a 'beachy' feel, just the way we would want it to be if we were living there, because we want you to be comfortable and return, year after year, to our "Castaway Cottage" in our vacation rental in Destin Florida! 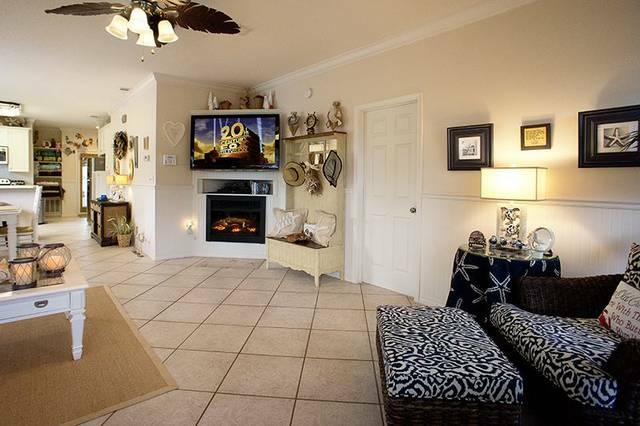 "Castaway Cottage" also welcomes small pampered pets because we know pets are family too. 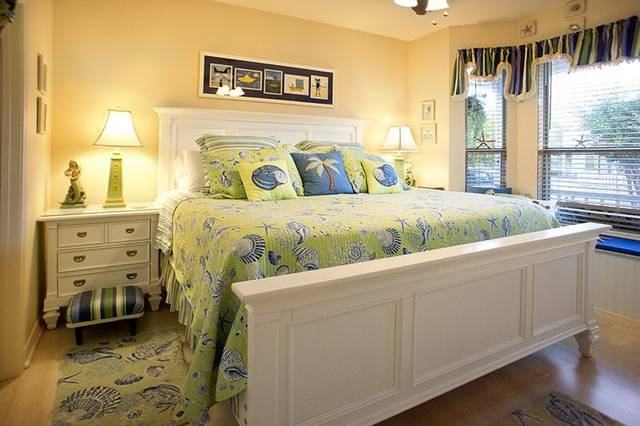 Area Info Soak in the sun at the beach, relax in your own private pool, take the bikes out for a cruise or take in the many other amenities located two short blocks from our "Castaway Cottage", such as the renowned Destin Commons, with its 75 plus stores, including the new 55,000 square foot Bass Pro Shop, Ann Taylor, Abercrombie, the renowned Hard Rock Cafe, the Rave Motion Picture theater, and the Publix grocery store, to name but a few. 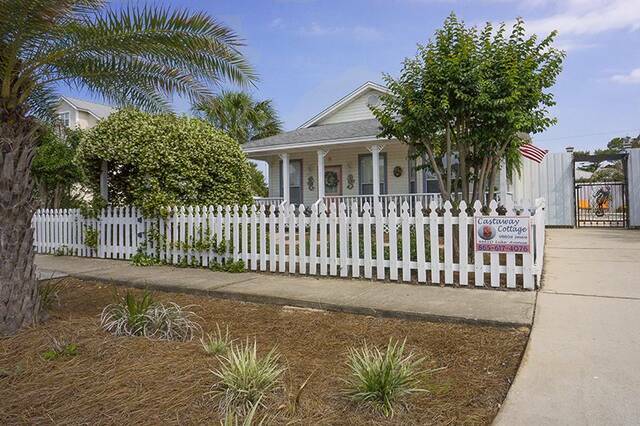 The Destin Commons is located 2 blocks from Castaway Cottage! 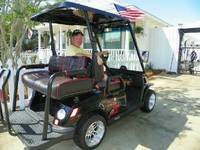 If golfing is your "bag", treat yourself to any of the 15 finest, world-class golf courses available, such as Kelly Plantation, Regatta Bay, 4 courses in Sandestin, and Camp Creek. 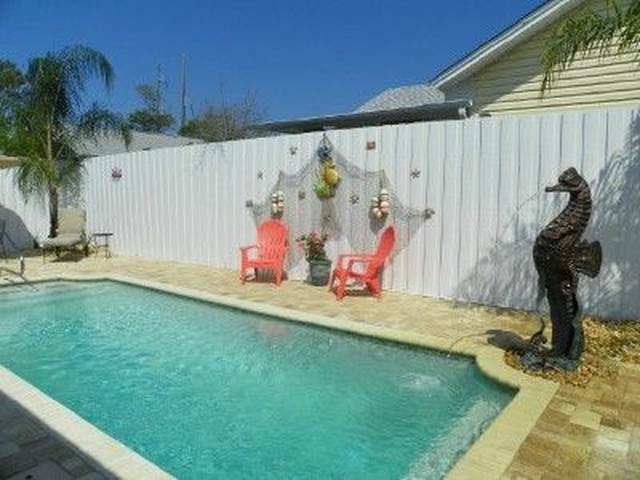 The Destin Harbor is minutes away for deep sea fishing, snorkeling, boating, jet-skiing and a spectacular firework display during the summer. 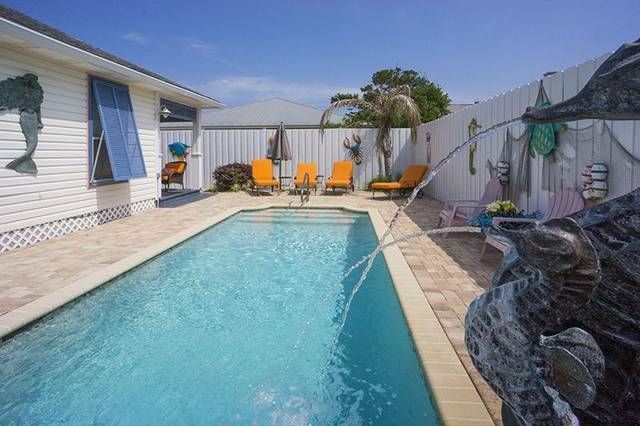 The harbor is your gateway to the emerald green waters of the Gulf of Mexico! And how about the many fine eateries serving up their fresh catch of the day (many are within walking distance from our cottage). 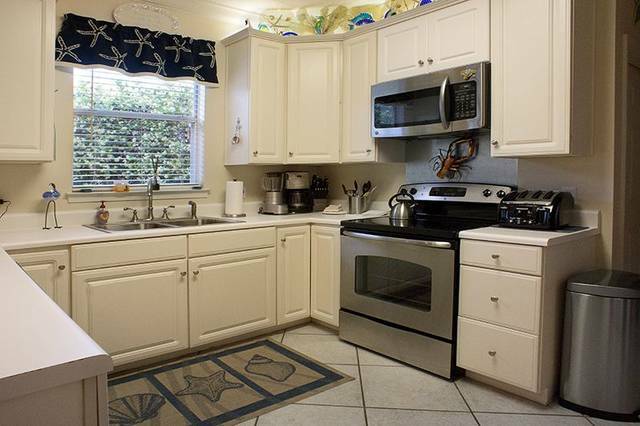 Close by are Big Kahuna's Waterpark, Sandestin Resort, Silver Sands Outlet Mall, The Track, and the Gulfarium. 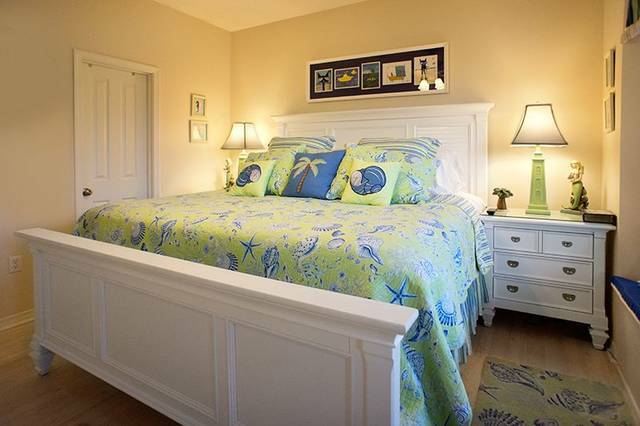 "Castaway Cottage" where memories are made!